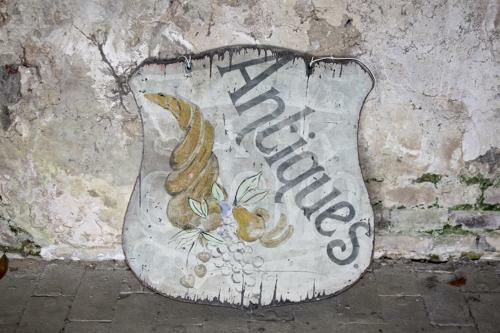 Shield shaped decorative "antiques' sign. This paint has been on for years but you can see from the photos that there may have been something else on there before.... I hadn't noticed it before, only when I looked at the pictures. Anyway, double sided, one slightly better than the other and would look great either at an antique shop or wall hung in someone's house.